You have felt that burden in your heart or that niggling of the mind. The pull or the call to step out in faith to take on a new project, yet the enemy has thrown disturbing thoughts your way thinking to frustrate what God is pulling you to do. 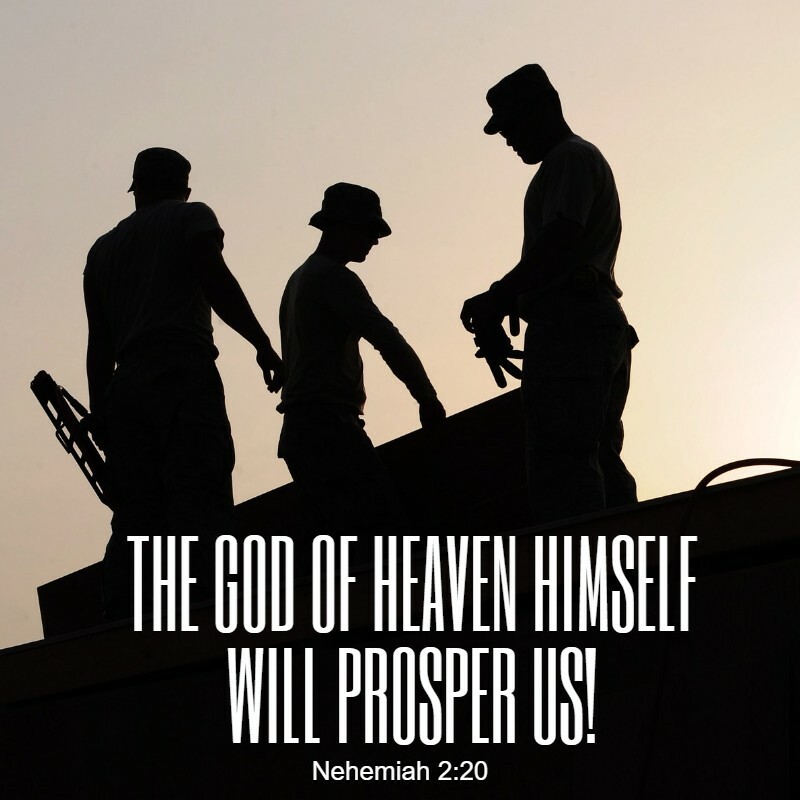 Nehemiah felt such a burden from God. He received word that the people in Jerusalem were in distress and the walls were broken and the gates burned, (Neh. 1:3). What could he possibly do all the way in Shushan? The Bible tells us he fasted and prayed and confessed the wrongs of his people before God, (Neh. 1:4). Then, God gave an opportunity for King Artaxerxes to take notice of his plight and support the project that had burdened his heart. As soon as the work began and they took steps toward the goal of their heart, their enemies laughed at them and despised them and put accusations against them, (Neh. 2:19). But, Nehemiah’s response was one of total faith and reliance upon God. He said, “The God of heaven Himself will prosper us; therefore we His servants will arise and build,” (Neh. 2:20). Know this, anytime God lays a burden on your heart to do something for Him, there will always be enemies that try to stop the plan of God in you. Sometimes it could even be just our own doubts and insecurities about our own ability to get the job done. But, if God called you to it, He will see you through it. Prosperity belongs to God! All He has ever asked us to do is to step out in faith and do the work and depend on Him to increase it and cause it to grow. No human on this earth has any say so about what God is doing in your life! Be blessed, my friends, as you move where God is leading you!